Oh, it's been 2-3 months since I've had a real honest-to-goodness vacation. With outsourcing work that requires me to stay online most nights for long stretches, an out-of-towner will have to wait until things ease up and fate intervenes. Under the circumstances, a staycation in the city will have to do. Call it luck, fate or alignment of the planets but an invite to come back and spend a day or two in Cocoon Hotel came after the Christmas season, one that's really hard to pass up. My last two stays were offshoots of writing and shooting assignments but I enjoyed them nonetheless. My main complaint was not about the food nor the facilities but rather how little time I had on my hands to enjoy them. I brought work again to this staycation but with a resolve to somehow strike a balance between working and relaxing. Third time happy. There are places you'd want to go back to again and again, and for me, Cocoon is clearly one of them. After nearly a year of being away, it would be interesting to find out how the place has changed or has stayed the same in areas where I think it ought to. Taking it personally. Walking into the hotel, there were very familiar faces that greeted me though understandably, some of the former staff has moved on. Still, the warm hospitality I've been accorded during my previous stays has happily remained unchanged. Hospitality is a tricky thing really -- how to be warm, friendly and attentive without being intrusive and annoying. 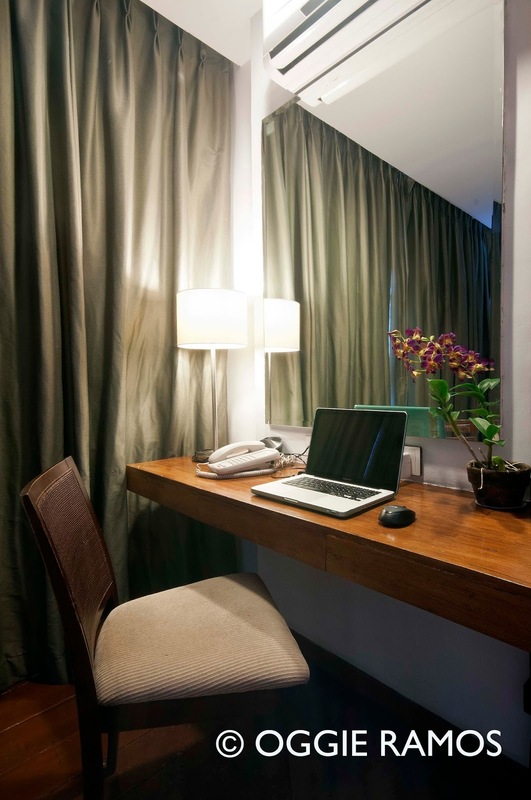 Being personalized and friendly is the charm of boutique hotels, and especially of Cocoon. I call it the "art of warmth" as homage to Sun Tzu's tome. That the staff calls me by name may seem like an exception since a) I'm a repeat visitor and b) I'm part of the digital/traditional media, but I've witnessed the same treatment accorded other guests so I guess the hospitality DNA has been shared/assimilated into the hotel culture. Spaaahhh. First time I was here, I was shooting a model for the spa. This time, I was on the receiving end of a wonderful Swedish-Shiatsu massage. 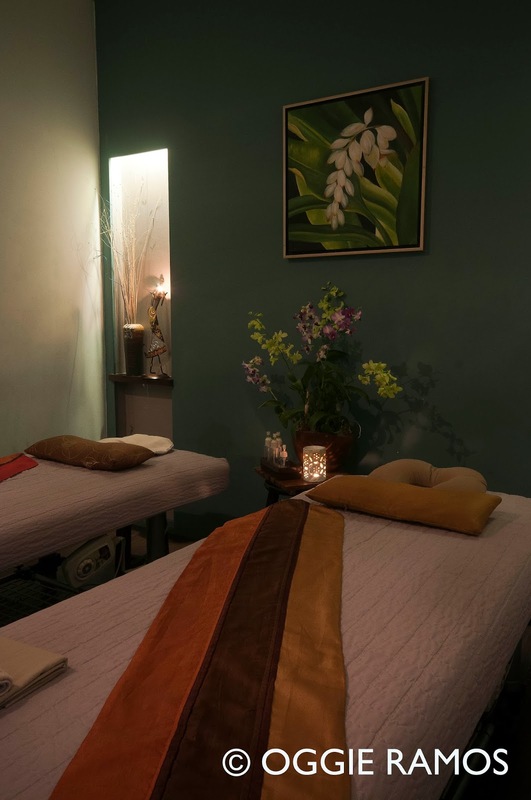 Apart from an excellent pair of hands, the spa highlights included a very warm thermal bed that really helped relax tired, aching, overworked muscles. 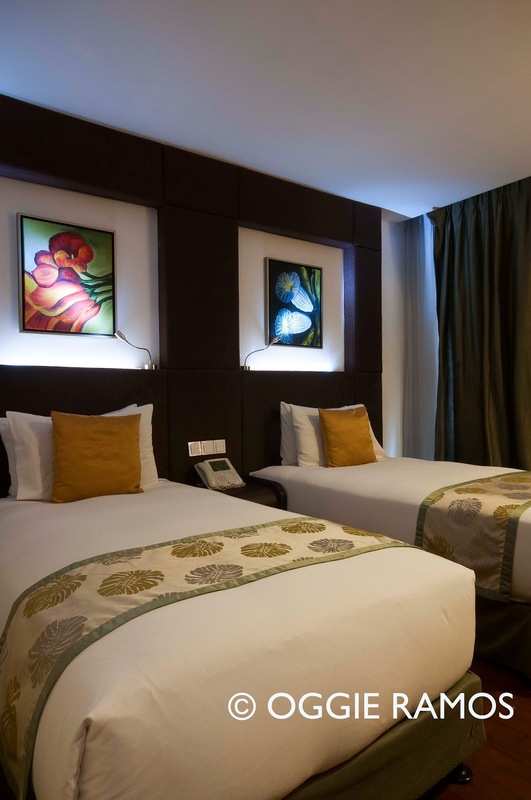 For the hotel location, ambiance and level of service, the P400 promo fee is very reasonable. Eats a treat. There was also a transition of chefs in the kitchen in the interim of my last two stays but I'm glad the food quality remains the same. 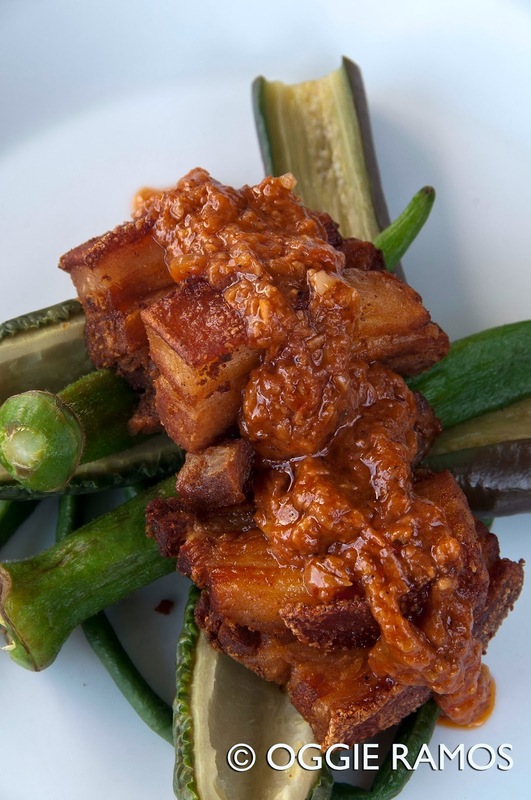 Funny that the staff (Angel, the affable staff of Cocoon's GM, Annie Convocar, in particular) remembered my favorites -- crispy tawilis (freshwater sardines) with two kinds of sauce: vinegar and honey mustard; and binagoongang baboy (deep-fried pork with veggies laced with shrimp paste). Eating in the al fresco dining area, I'm glad to note the herb and vegetable garden has flourished under the able hands of a former gardener of Bulacan Gardens. The ingredients of the salad served during the breakfast buffet largely comes from here. All around the pool area, diners are surrounded by racks of thriving pots of herbs -- oregano, basil, rosemary, chives -- that given occasional breezes, perfume the air with their unmistakable redolence. Hopefully, the garden can become a springboard of future healthful menus that will contribute to the gustatory aspects of the cocooning experience. Bed influence. It's my first time to stay in the junior suite (two bedroom unit with receiving room) but the bed experience has been as pleisurable, excuse my coined word, as I remembered it, if not better. The much-written-about bed remains firm yet springy but I guess the upgrade of the sheet thread count to 600 from 400 is very much felt especially in the depths of the early morning when the air conditioning can turn chilly. Staying under the sheets as long as I can, I feel as if I'm wrapped (cocooned is more like it) in a wonderfully warm, eminently soft, thermal blanket. In addition, the goose down duvet pillows are really meant to spoil. My only dilemma again was that I had to wrest myself from the bed and get down to work. Easier said than done at Cocoon. Postcript. Given my positive experience staying here, I'm not really surprised Cocoon garnered TripAdvisor's Certificate of Excellence for 2013 for belonging to the top 10 percentile of hotels worldwide for positive traveler feedback. Regardless, it's a no mean feat for a wholly Filipino-owned 40-room boutique hotel. For more details, visit www.thecocoonhotel.com. Read my previous post on Cocoon, A Very Bed Experience, here.